Mothers of toddlers, I know right now it seems like you will never again be able to decorate the bottom half of your Christmas tree. Allow me to offer a glimmer of hope. The Peanut, took a bite out of a glass ball ornament. I was two steps behind him. He was unharmed and remained unphased as I frantically and carefully removed shards of glass from his mouth. Yes, frantically AND carefully. That's motherhood in a nutshell. 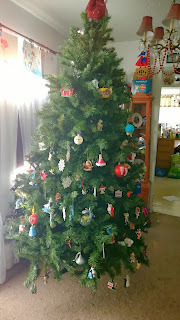 Every year since then, our ornaments have moved their way further up the tree as the children have gotten taller. Just when it seemed all hope was lost. 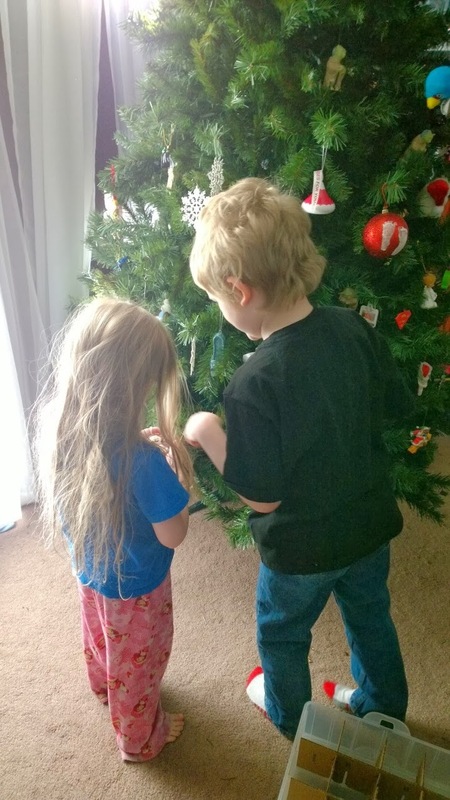 They finally reached the age where they would rather look at ornaments than eat them. Play with them, sure. But no more shards of glass IN the mouth. 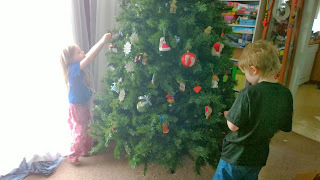 AND they are also old enough to help decorate. In fact they insist on it. 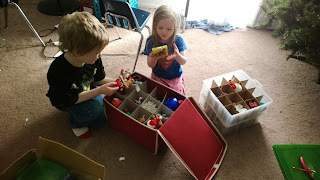 They exclaim with delight over each ornament and show it to each other. Then they find just the right spot on the tree. Yup. 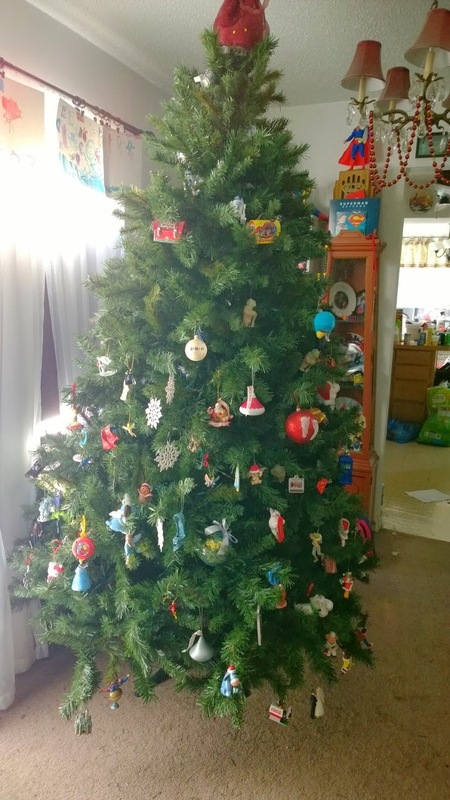 Finally the bottom half of the tree is filled with ornaments. The top half, on the other hand.